The Mozzarella in Carrozza one of the simplest and tastiest Italian snacks; worldwide popular, and with an interesting and smart history. 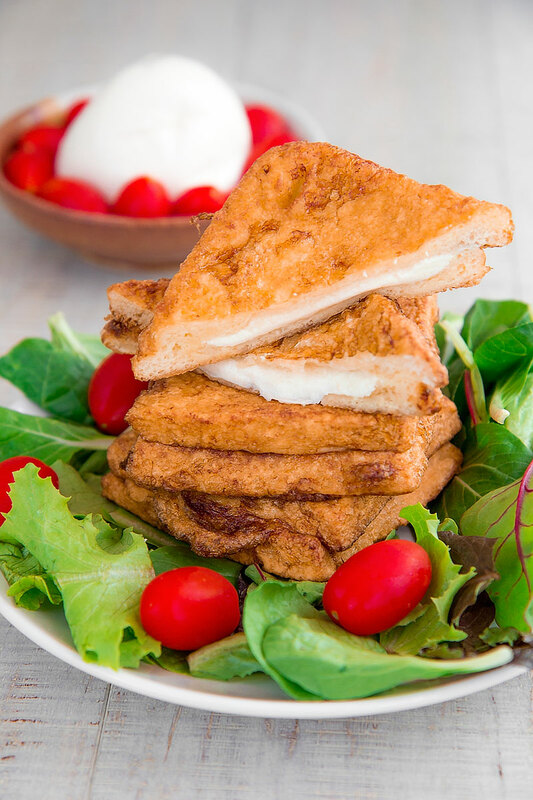 Originally, the idea behind the Mozzarella in Carrozza has been prompted from the needs to reuse stale bead and old mozzarella. Nowadays, this appetizer is made with white bread slices, and mozzarella, and optionally other toppings like anchovies or ham. Here the recipe and the history!